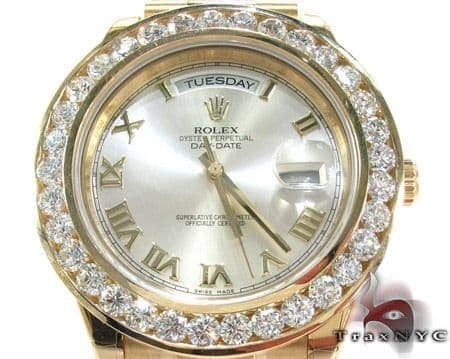 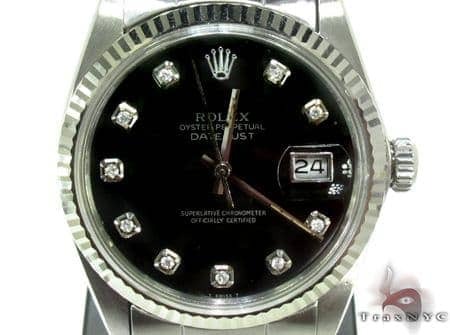 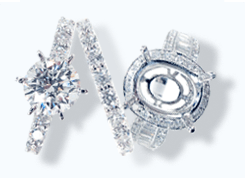 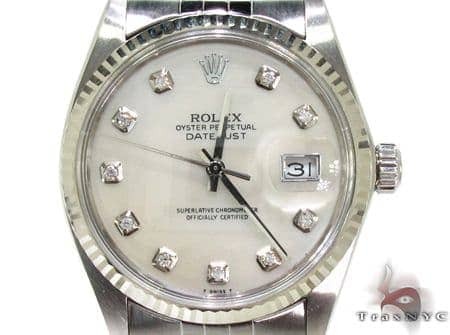 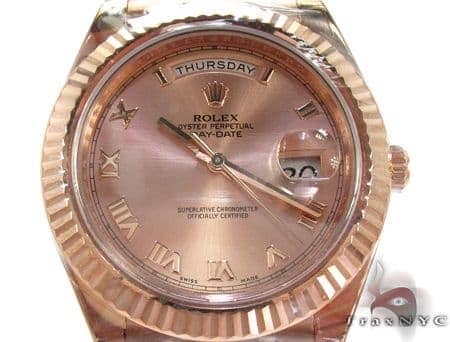 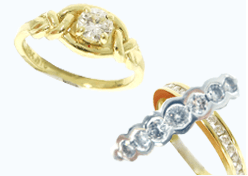 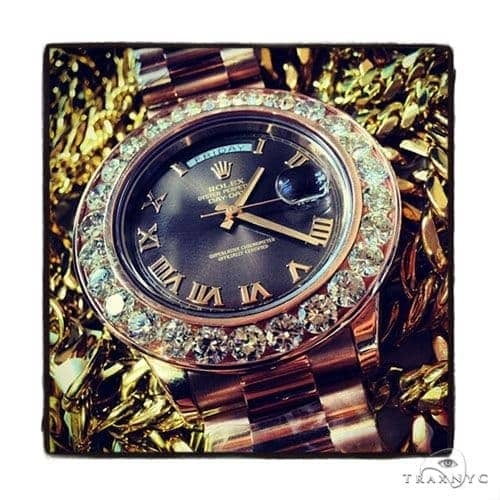 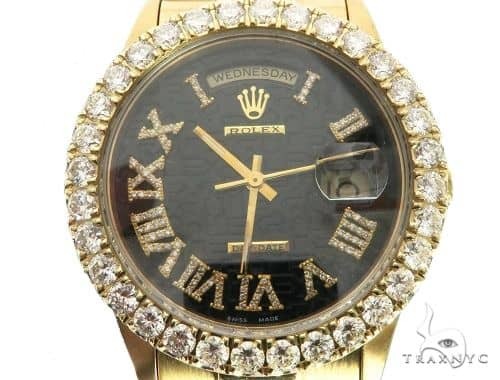 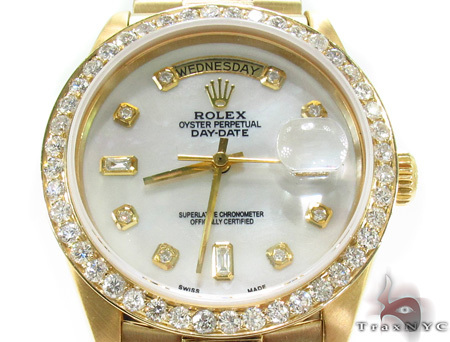 The Rolex ‘Day Date’, also known as the ‘Presidential’ has always signified one’s stature in the world. 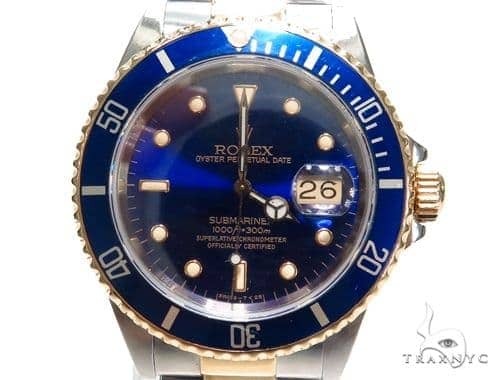 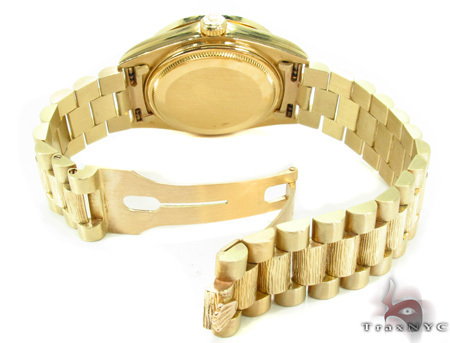 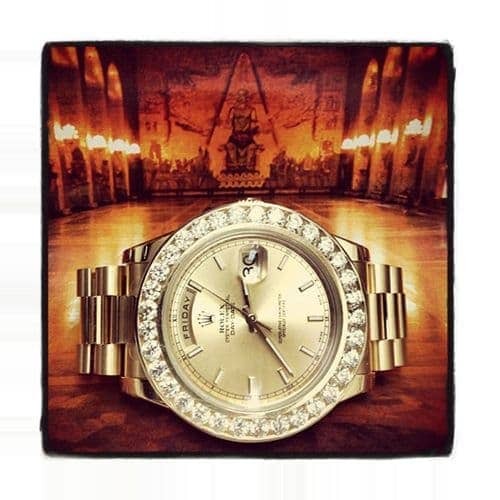 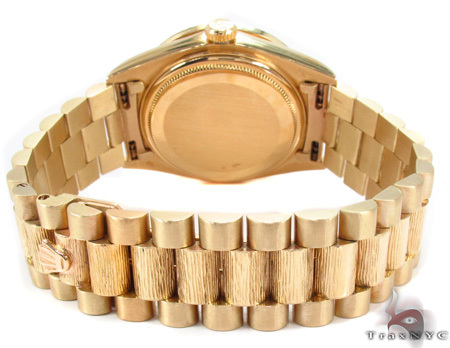 Introduced in 1956, this particular -Rolex 218235- is considered to be the most high-end of the Rolex Watch family and is only available in Solid Gold or Platinum. 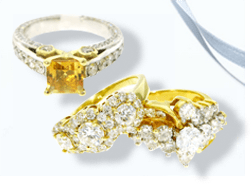 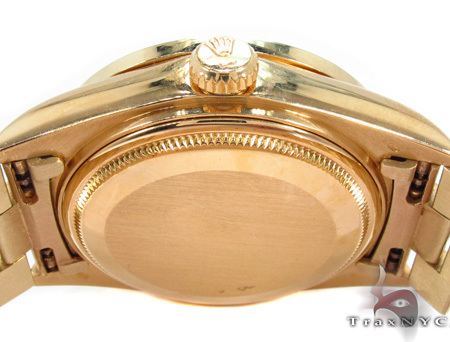 Solid, 18k yellow gold, this classic timepiece features fluted bezel and an aftermarket top of the line white diamond dial. 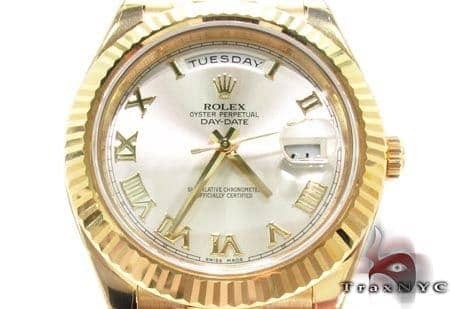 Staying true to its name the Day Date features the Day, which can be displayed in numerous languages, and the Date, which is always magnified by its signature Cyclops lens. 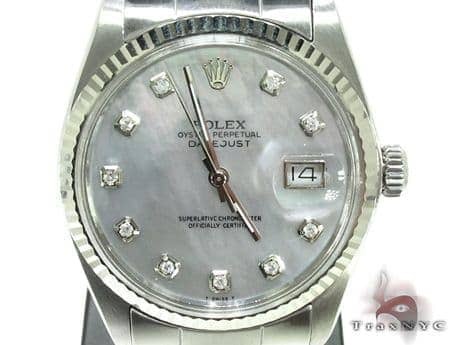 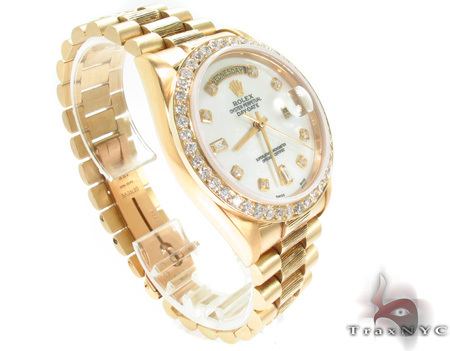 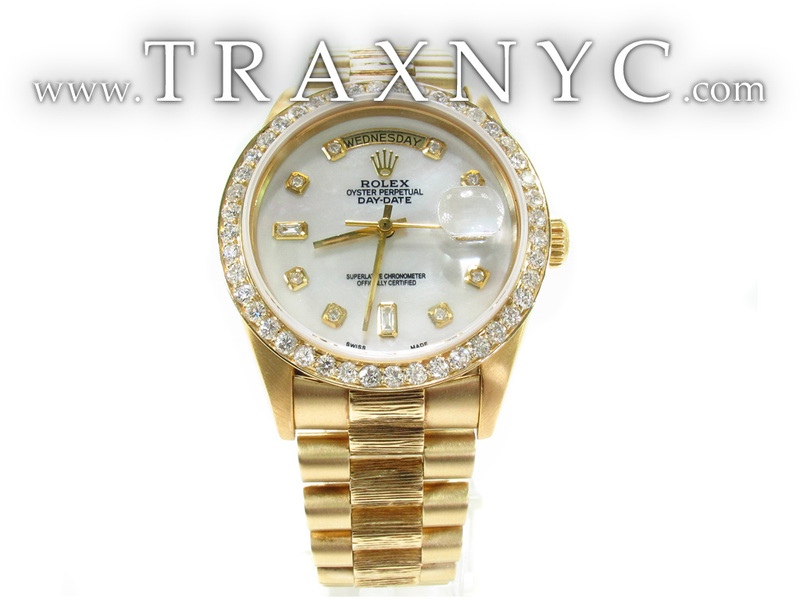 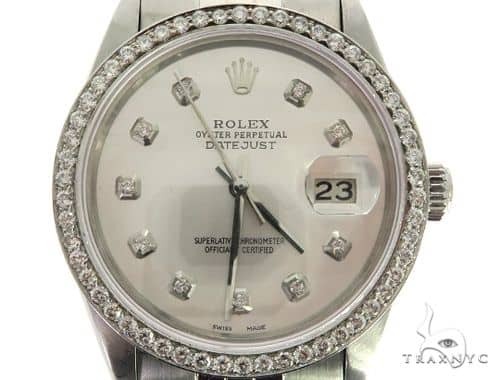 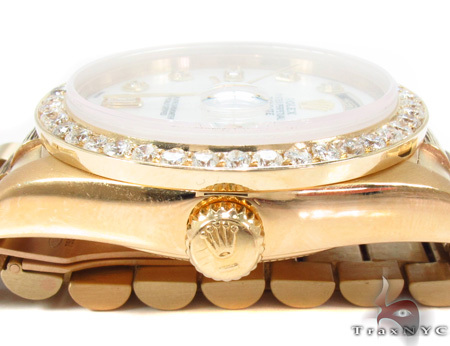 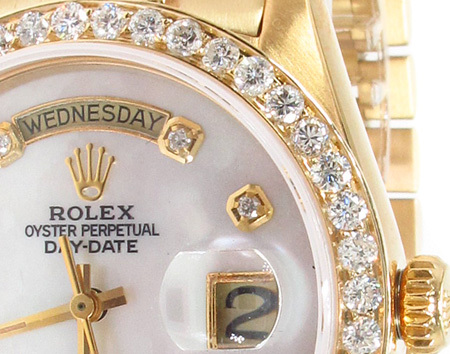 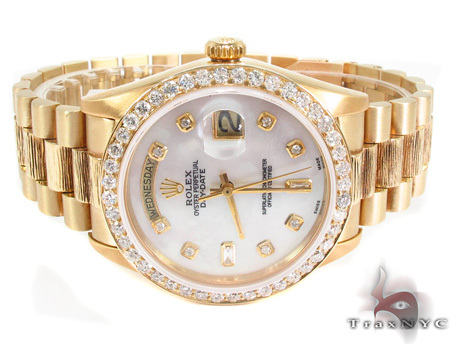 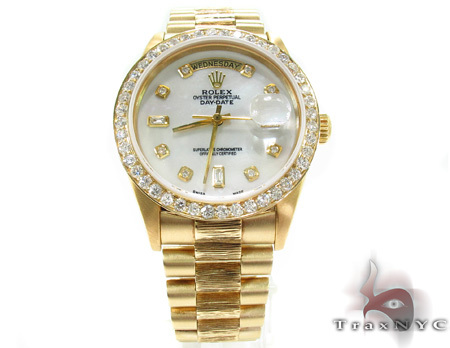 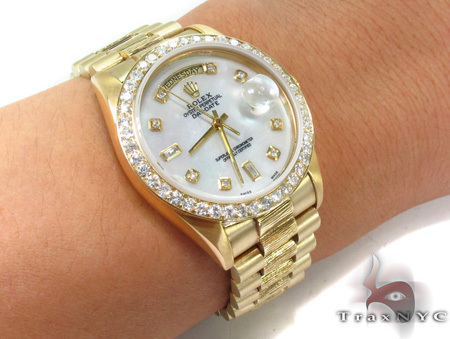 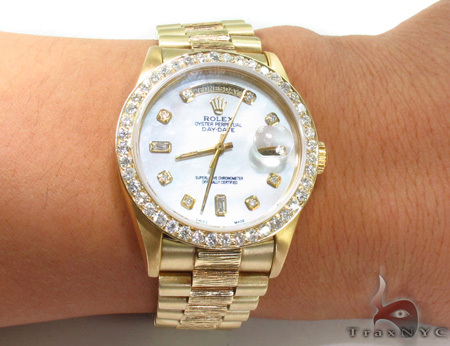 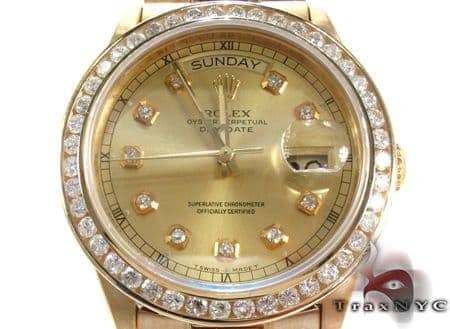 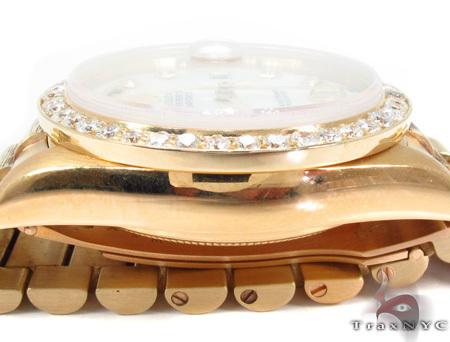 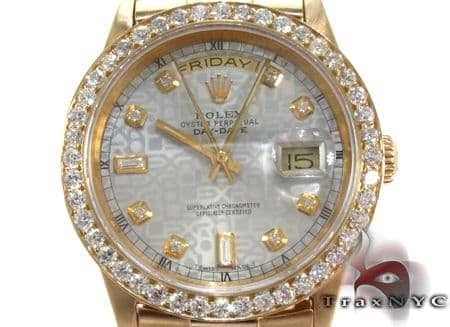 The Day Date happens to be one of the larger Rolex watches being that it has a 36mm case. 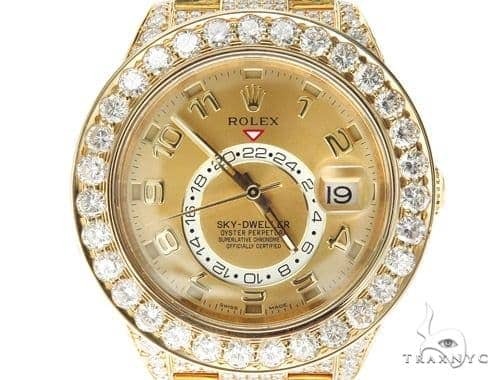 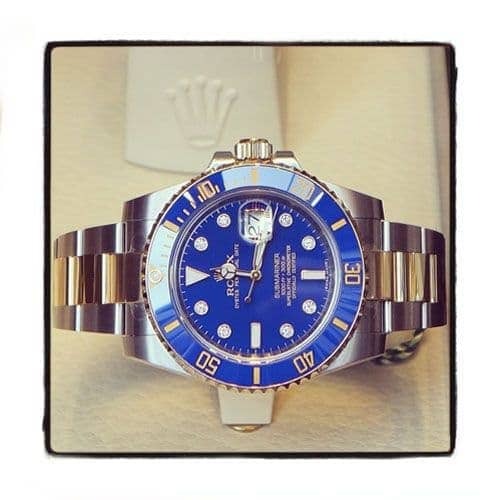 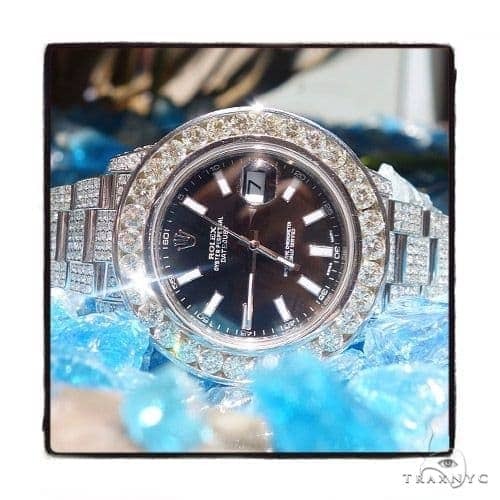 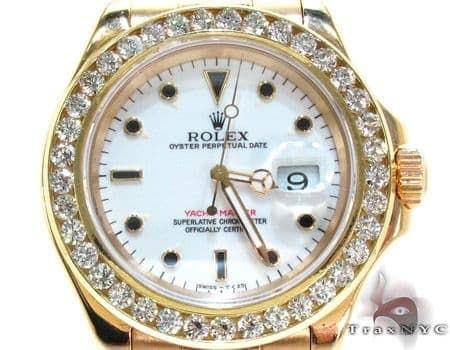 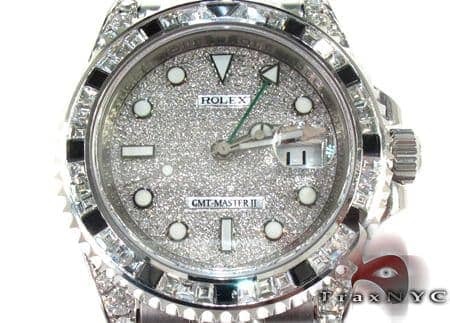 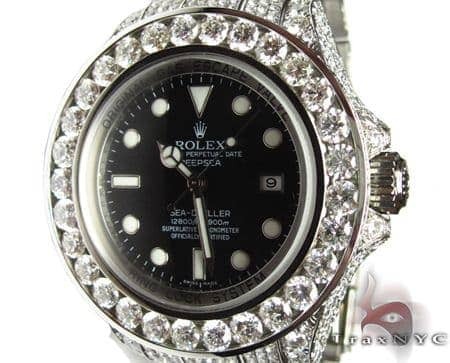 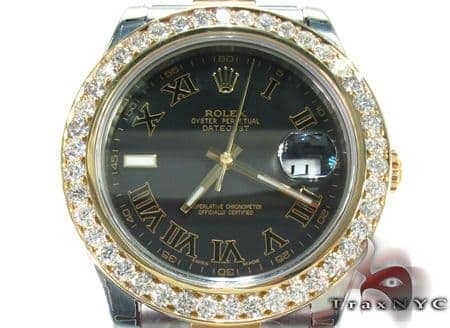 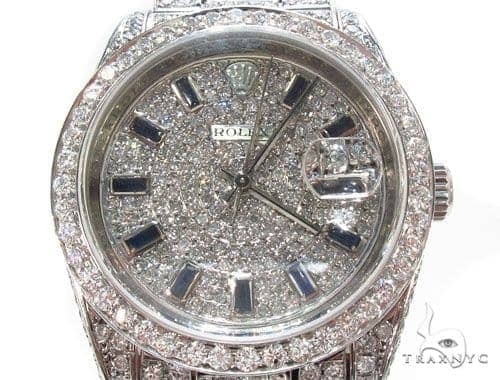 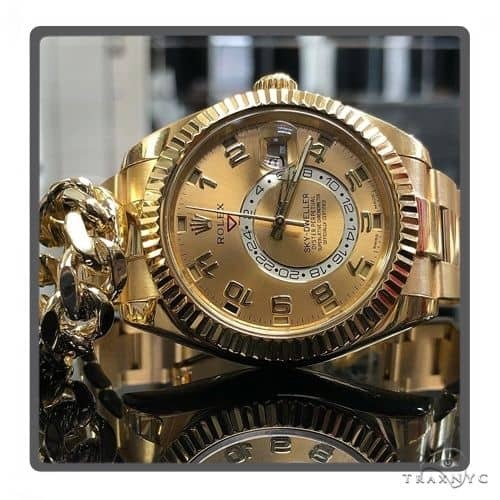 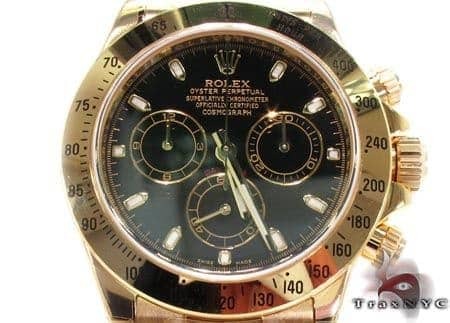 It is automatic and water resistant up to 100m - as are most Rolex watches. 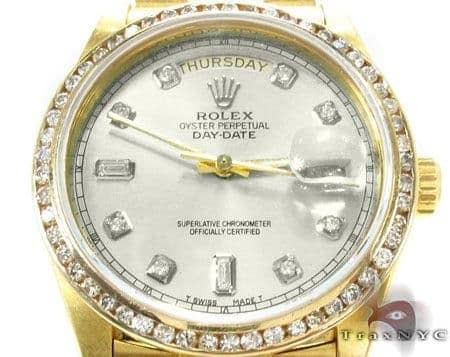 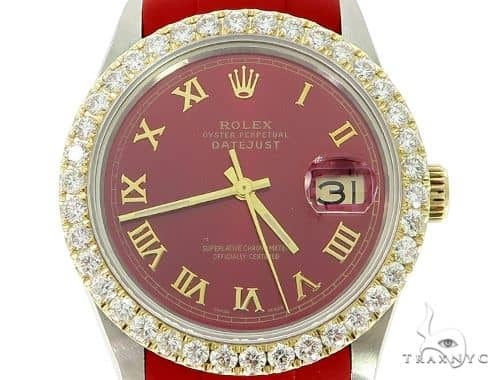 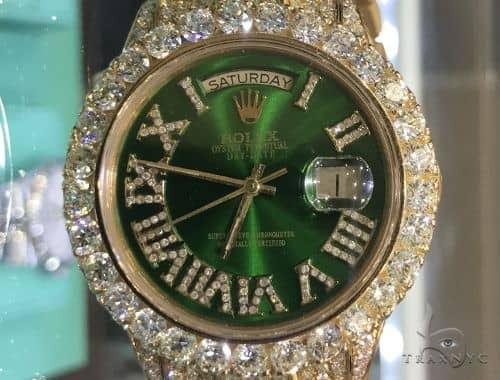 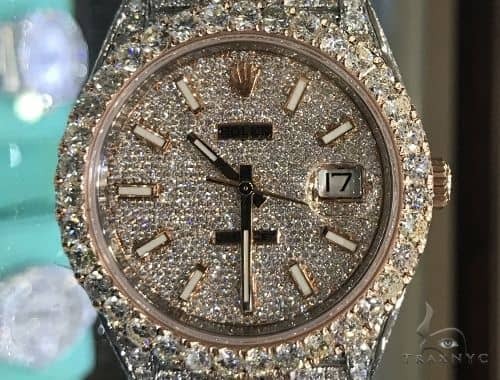 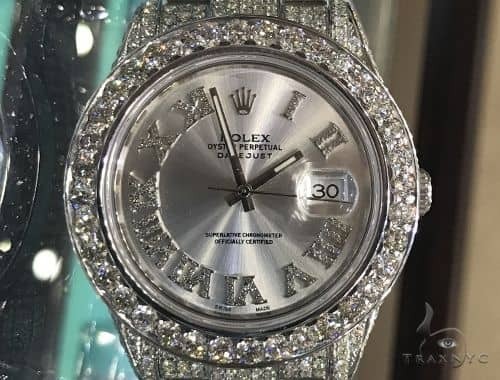 Besides the fact that The Rolex Day Date is world renowned, something that sets it aside from other Rolex models is the President Band, which differs from both the Oyster and Jubilee bracelets being that the clasp is concealed, giving the watch a more polished, professional appearance. 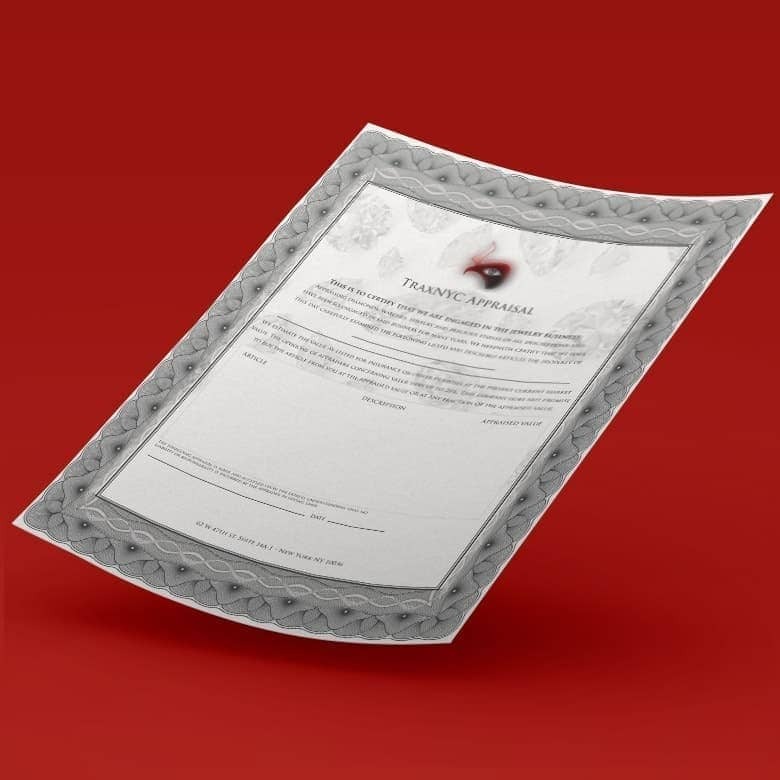 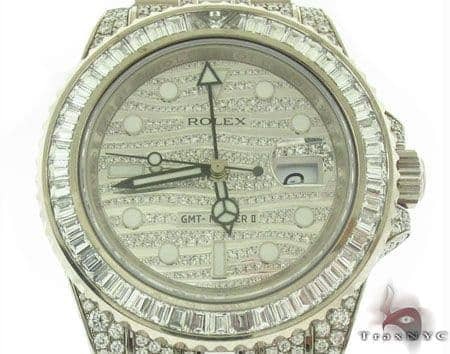 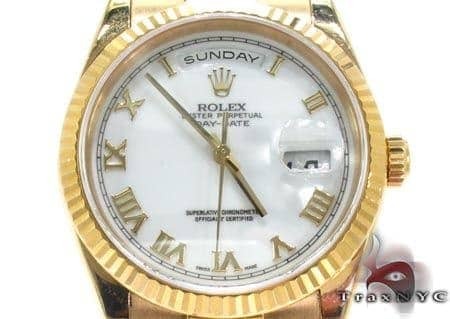 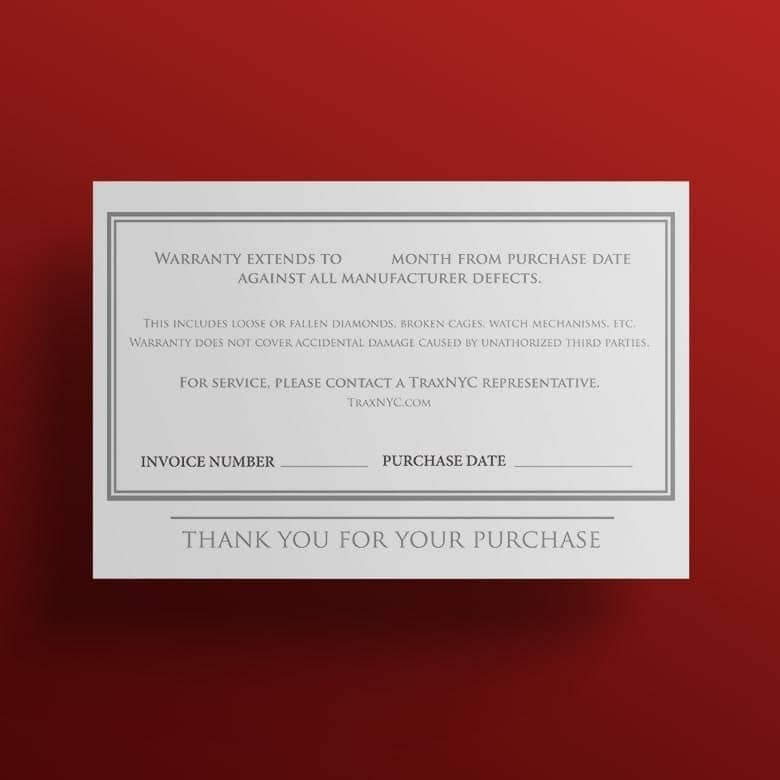 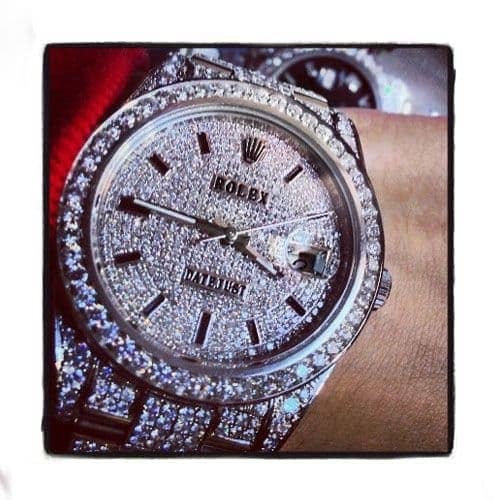 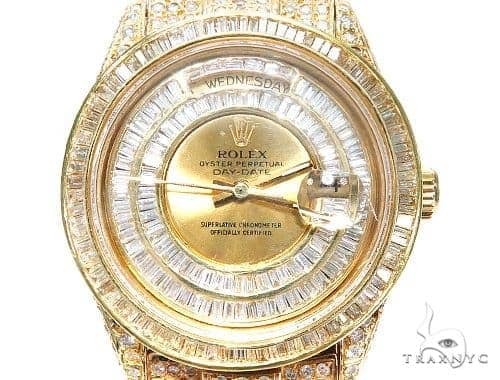 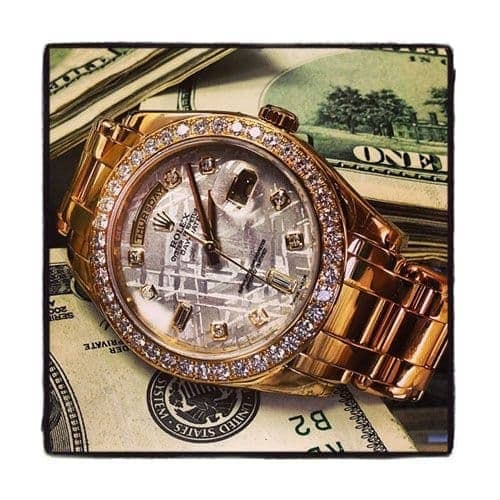 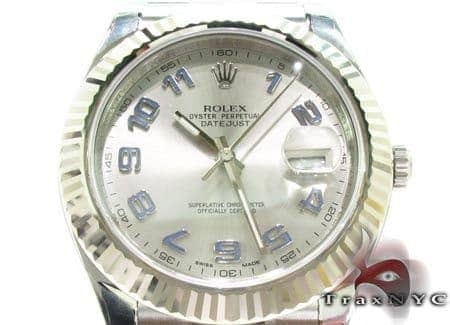 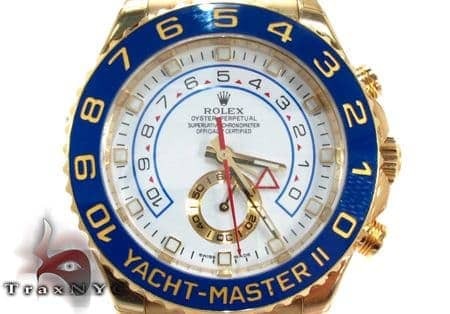 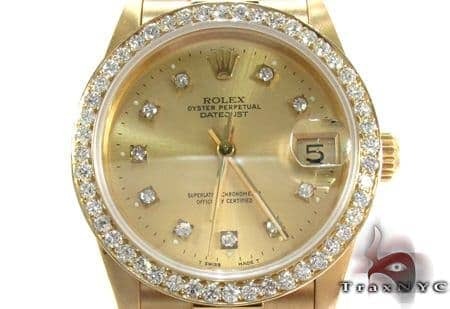 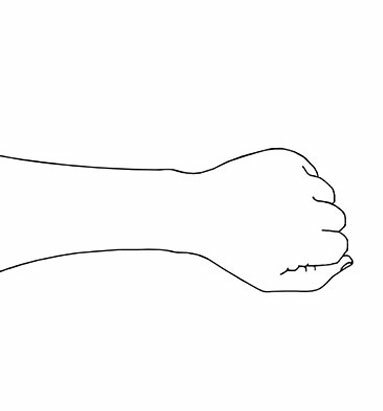 This Rolex watch comes no documents.